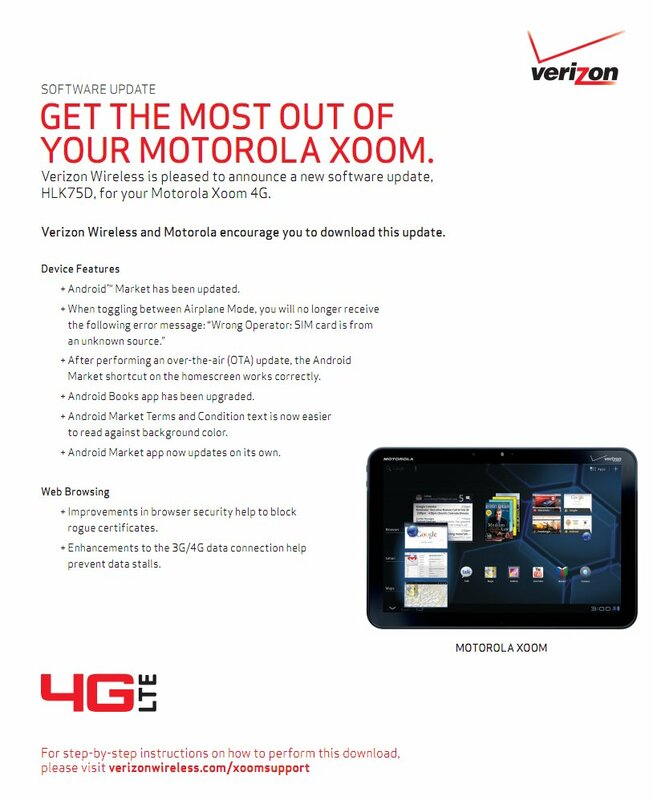 XOOM owners are starting to receive their devices back from Motorola, but may have been wondering what was included other than a new 4G LTE radio. Thanks to the support document that was released today, we now know. It looks like the new Android Market that was included in the last XOOM WiFi update is in there along with the ability to upgrade its market automatically going forward. Also as expected, a bunch of connectivity bugs were addressed. That’s pretty much it. The showstopper here is simply the fact that the device finally has 4G support. Everyone receiving these back yet?